Create a good first impression with products and services from our door company in Pittsburgh, Pennsylvania. 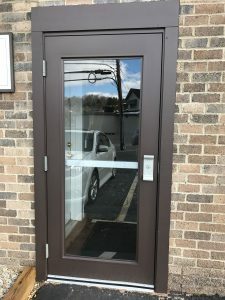 Firewicz Commercial Doors has been selling, installing, servicing, and repairing doors for businesses in the greater Pittsburgh area for more than 30 years. We complete all jobs, both small and large, to your complete satisfaction, and we do it right the first time. In addition, we offer all types of commercial steel doors, frames, and hardware from quality brands including Corbin®, Daybar®, DORMA®, Hager®, and Republic®. Equally important, we are dedicated to providing top-quality products, service, and workmanship, making it our mission to meet all of your door specifications and needs.